10 years ago there were no direct and regular cargo transport from Europe to China. Today, 35 Chinese cities are connected to 34 European ones. 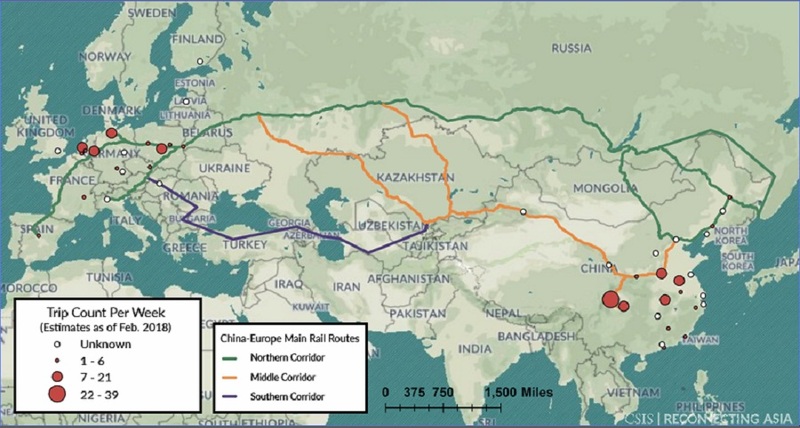 Stonenew.eu is examining the railway routes between Europe and China for possible solutions in natural stones transport. As it is known, cargo shipment between Europe and China are made exclusively by ships. However, during the last two years rail transport has been increased not only in terms of origin and destinations but also in terms of cargo volume, cargo type and overall competitiveness. As we can see at the chart below, rail transport is significantly cheaper than aviation and clearly faster than sea. As a result, it could be an average option for more products to be transported in the years to come. The share of rail transport in value was increased by 144% in the first half of 2017, compared to the same period in 2016. According to a study by the International Railway Association, the share of the volume of trade in rail transport between China and Europe could double over the next decade. It should be noted, however, that the increase is great because the basis of comparison is almost zero. 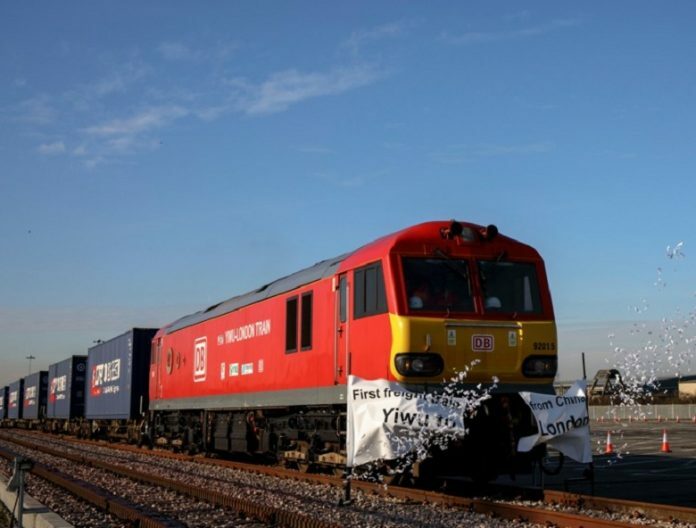 Rail connections are an important element of China’s “Belt and Road Initiative”, which aims to revive the history of Silk Road. 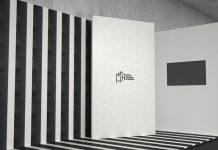 As a result, it is the main provider of network development with many countries having expressed a desire to participate. The main routes that have come up so far are three, the North, the Middle and the South. As we can see at the map below, the North Route is essentially the Trans-siberian which connects China with three extensions. The Middle has multiple variations across China while the new-coming South Route, which extends across Europe through Central Asia, Iran, Georgia and Turkey, could be further developed in the years to come. The frequency of transport is increasing. Last year, there were approximately 1,470 direct freight transports from China to Europe and almost 730 services from Europe to China. As shown on the map above, many cities have plenty of departures every day. In China, the most active nodes are often in the interior. The closest points of origin and destination are close to the ocean, where they face fierce competition from sea transport. Some recently announced routes are still in “trial” and it is unclear whether they will become viable. However, overall, there is a significant increase in the frequency of services compared to some years earlier. Southern Route is interesting because in addition to the European Union (28) and China, it crosses and links countries with large imports and exports of natural stones. 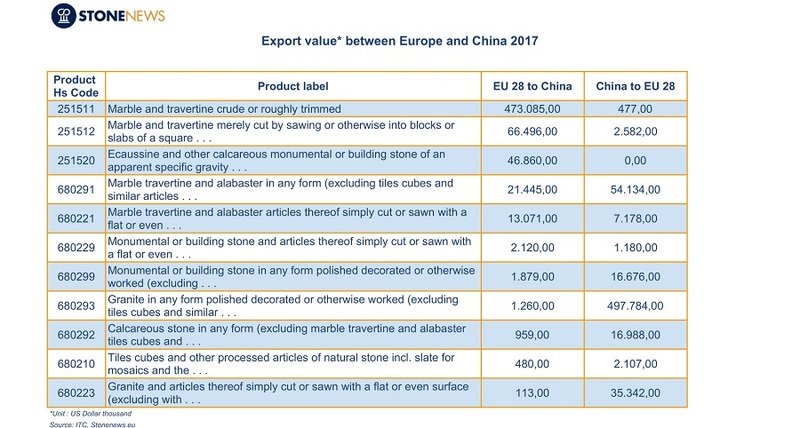 In the table below we can see exports of natural stones between the European Union (28) and China according to the HS Codes (Harmonized System Codes). In 2017 the total export value of natural stones of the EU (28) to China reached 628 million dollars. Similarly, China’s exports to the EU (28) exceeded 634 million dollars. 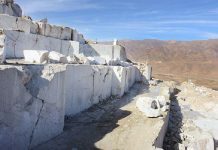 In 2017, Turkey exported marble blocks to China worthing more than 943 million dollars while exports to India reached 82 million dollars. 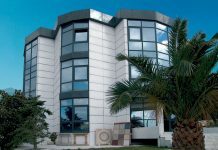 It is clear that the value of imports and exports of natural stones between Europe and Asia is particularly high. Rail transport offers an industry alternative to the sector, but at the moment it has a number of issues to be solved. From an economic point of view, the biggest challenge is China-Europe trade imbalance as well as competition from other ways of transport. In 2017, the EU (28) imported from China goods worthing more than 507 billion dollars. Correspondingly, China imported from the EU (28) goods worthing 245 billion dollars. It is estimated that about 60-70% of rail transport is to the west while shipments to the east are limited to 30-40%. On the routes to the east it is not unusual for the containers to be empty while other containers are sent back through the sea. Of course, this is not a new problem, nor is it limited to the rail sector or even to trade between China and Europe. About 45% of merchant vessels travel unladen. Rail transport should compete with the sea ones which are cheapest and the aviation which are quickest. Up to now, the evidence suggests that rail transport will get a share of the airline. In maritime transport, they could get high-value products, especially those produced in China’s land-based provinces, because the higher cost of using rail transport can be balanced by lower inventory costs. 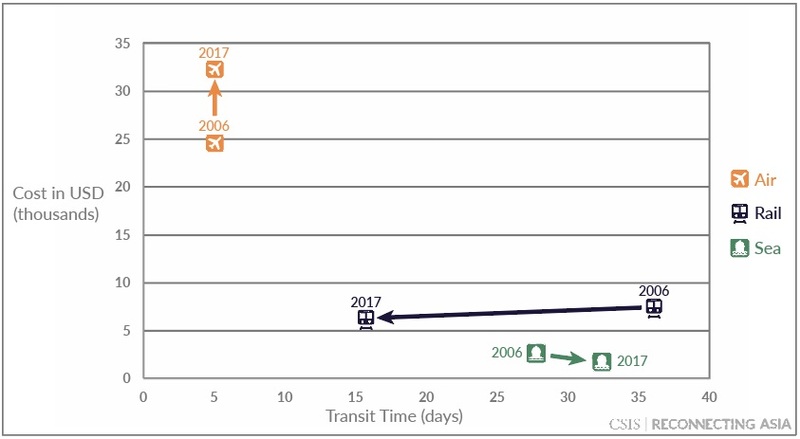 Restrictions on transport capacity remain a major issue for rail compared with the ship, while the main challenge remains the improvement of the terminals and the railway network. In conclusion, we should point out that maritime transport remains dominant, but rail combined with maritime and airline could provide solutions reducing transport costs and increasing the number of destinations.